They used to say, "Beware a limping Gordon Greenidge." Maybe the same should apply to Ross Taylor. He produced one of the finest chasing hands in ODIs as New Zealand hunted down 336 with three balls to spare, having been 2 for 2 in the third over. Taylor was dropped at deep midwicket on 84 by Jonny Bairstow and brought up his 19th one-day century off 98 balls, but shortly after, injured his hamstring coming back for a second. Patched up, he battled on, barely able to run between the wickets, and resorted to clubbing boundaries: he struck 17 fours and six sixes in all. The fifth of those sixes landed on the roof of a building adjacent to the sightscreen. Taylor's injury meant dampened celebrations, however, as he had to forgo a special bottle of wine he'd been saving for his birthday in an attempt to get fit for the final match of the series. Colin de Grandhomme had just been dismissed and New Zealand needed 32 off 24 balls with the previous two overs bringing just five runs. It could still have gone wrong. Taylor proceeded to take 15 off the 47th over from Chris Woakes, clearing long-on with a huge six and then crashing a drive through the covers. From there it was 17 needed off three overs and nothing could stop Taylor and New Zealand. 4 Where Taylor's innings placed on the list of biggest scores in successful ODI chases, behind Shane Watson (185 not out), MS Dhoni (183 not out) and Virat Kohli (183). 1 Number of batsmen who had made more runs in an innings batting outside the top three in ODIs - Viv Richards, with 189 against England at Old Trafford in 1984. "I was [on] about 110 or 120, physio came out and asked if I wanted to stay in or come out. I'm glad I stayed in. I couldn't run any twos, so I didn't want to put any pressure on the other guy. So I had a go, and hit a couple out of the screws." A masterclass of gear-shifting: his third fifty came off 38 balls, and he contributed more than half of India's total of 303, which set up an unassailable 3-0 series lead. 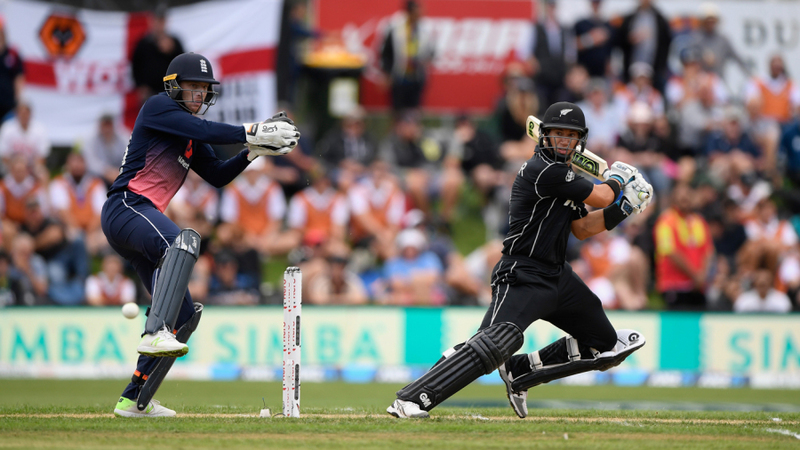 Roy took the mantle of England's highest ODI score off team-mate Alex Hales with a thunderous 151-ball innings, tearing Australia's bowlers apart in the Powerplay.